We understand how frustrating a vehicle breakdown can be, & that’s why we offer reasonable rates & quick response times unlike any other towing service on the market! We pride ourselves in towing service, roadside assistance and we always work hard to ensure that we provide you with only the best customer service and experience. 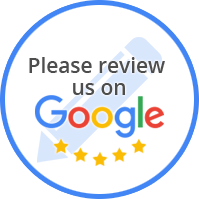 As our way of saying thank you, Leander Towing will give you only the best deals! Start Saving money now! Click here for our money saving coupons!!!!!! Looking for a reliable towing and roadside assistance? Then, you can count on us as we promise to be there as quickly as possible to get you where you need to go. Leander Towing provides local towing and roadside assistance in Leander, Austin, Cedar Park, Liberty Hill, Georgetown, Round Rock, Lago Vista, Jonestown, and more. We also provide long distance towing service all across the great state of Texas. We are focused on providing the highest level of customer satisfaction and we will do everything we can to meet your expectations 100%. You can depend on honest service at a fair price. We are available for emergencies with quick, reliable, and friendly service. Leander Towing's flat-bed towing service trucks are well maintained and built ideally for towing and roadside assistance. Towing smaller vehicles such as sports cars and exotic cars is our speciality, and we always take extra care to protect your vehicle from any damage. At Leander Towing, we understand how frustrating a vehicle breakdown can be, and that’s why we offer reasonable rates and quick response times unlike any other towing service on the market! Whether it’s a dead battery, a flat tire or a flashing dashboard light, one thing is for sure: you have to be towed to the nearest repair shop. These things happen at any given time and can leave you frustrated, especially when you have to be somewhere on time. When you call Leander Towing, our automobile and truck towing service providers are immediately alerted to the issue and dispatched to your specific location to bring your vehicle in. Then, our professional technicians get to work and deliver the top-quality service you deserve to help you get back on the road. So, If you need a tow, you can count on Leander Towing to ease your frustration and help you be on your way as soon as possible. “Leander Towing! Excellence in service, they exceded all my towing needs. Nicole, and the drivers she sent to pick up my vehicle, Scott and Justin were courteous and most of all professionals. Most importantly, their customer service and punctuality was also what I appreciated. I would definitely recommend Leander Towing. Thank you so much and safe driving. Your One-Stop Source For The Best Towing Service & Roadside Assistance in Greater Texas. At Leander Towing, we combine affordable roadside assistance with professionalism to bring you the best service possible. Serving Leander and the surrounding areas, our company is based on the belief that customers’ needs are the utmost importance. Hiring only dependable, qualified auto technicians to operate our tow trucks, Leander Towing is dedicated to providing good service and good value to each customer. We realize that such problems as car lock outs and breakdowns can happen at any time of day, which is why we operate twenty four hours a day, seven days a week to receive your call and assist you. Call Leander Towing today and let’s get you back on the road. Here at Leander Towing we understand that your vehicle is one of your most expensive investments. That's why we have over 10 years of experience and have transported everything from a golf cart to a Rolls Royce. Save Money Now! Click Here For Our Specials!! !